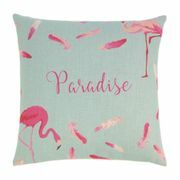 Flamingo Feathers Decorative Polyester Throw Pillow 17 x 17. 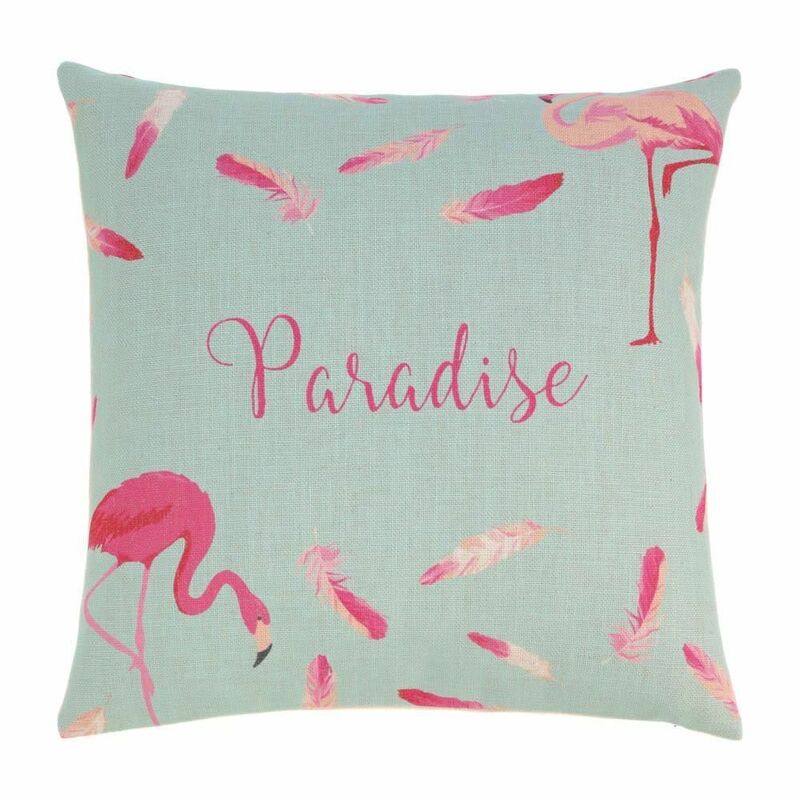 Add a bit of whimsical fun to your reading nook, bed or sofa with our floating feathers flamingo pillow! Hot fuchsia set against the calming teal is sure to add vibrancy and joyful eccentricity to any room in your home! Zippered cover for easy removal and cleaning. Machine wash cold. Do not bleach. Do not tumble dry. Iron low heat.